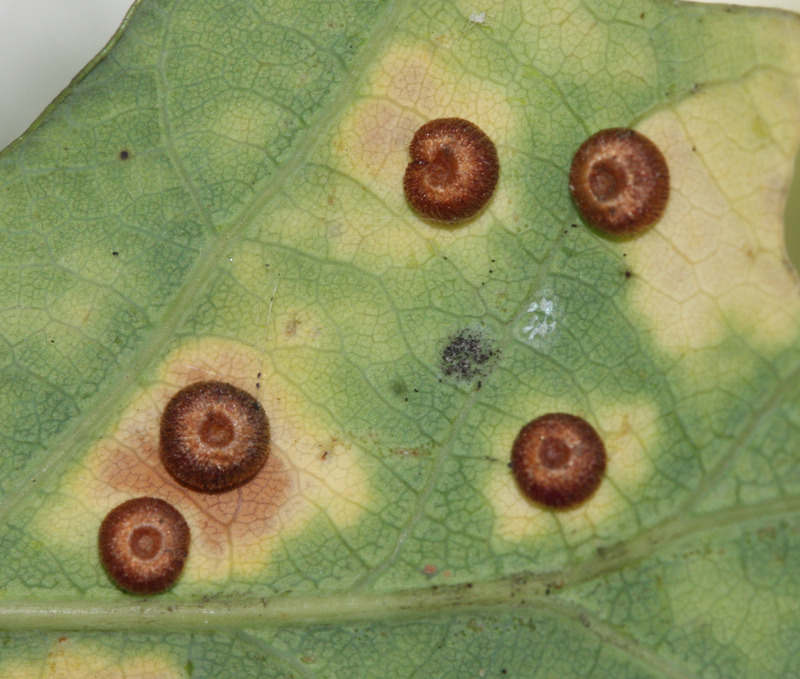 Neuroterus numismalis is a gall wasp that has two generations per year. One being sexual and the other agamic (all female and needs no male to reproduce). 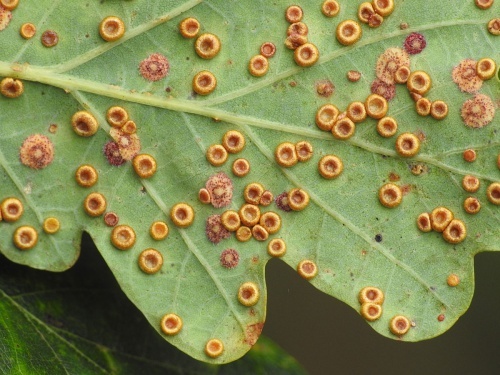 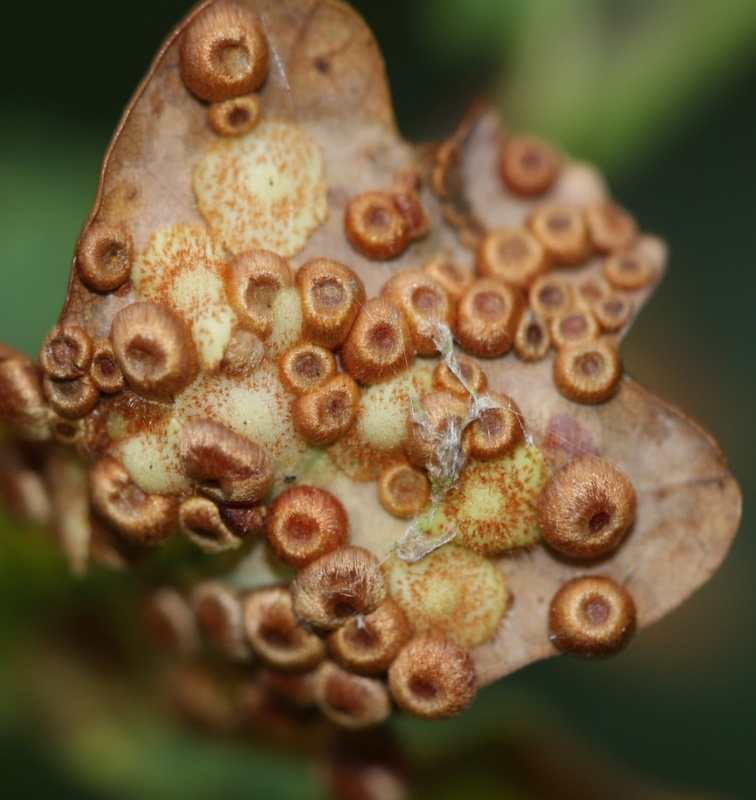 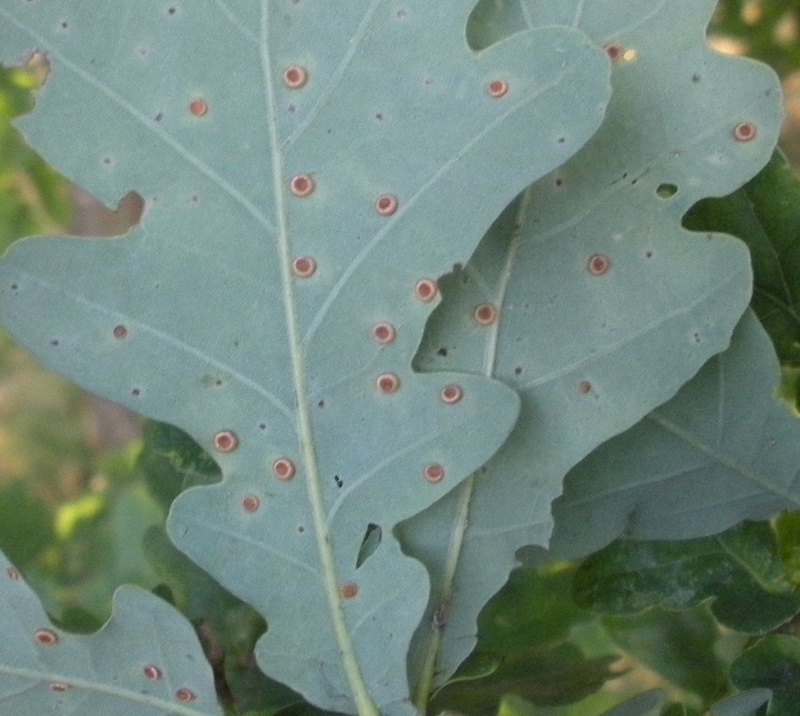 The sexual generation causes Blister Galls on Oak leaves. 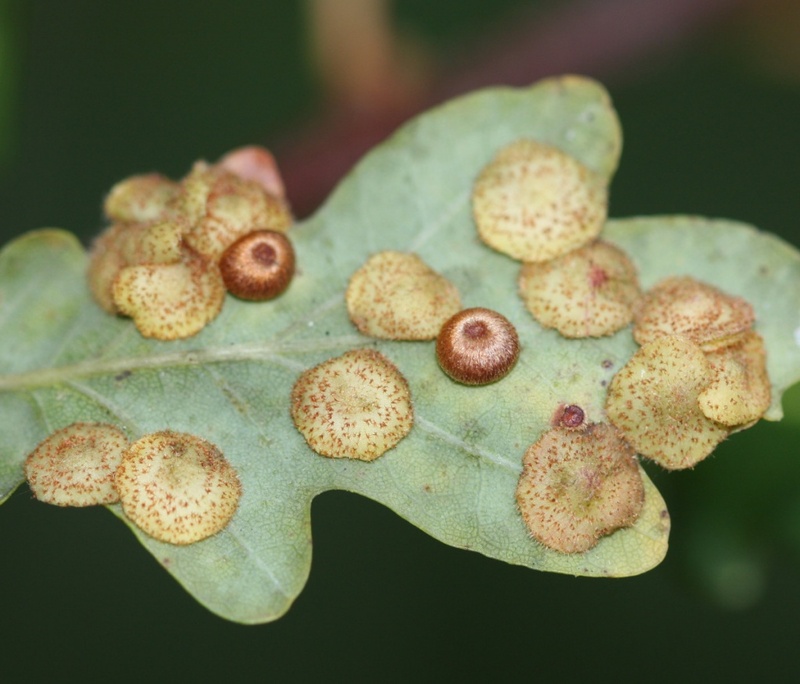 Whereas the agamic generation causes Silk Button Galls on the underside of Oak leaves. 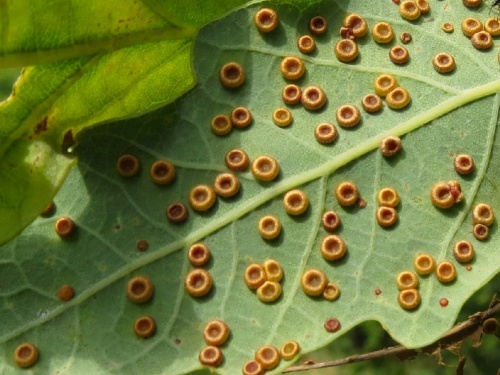 Wasps emerge from the Silk Button galls from February to April. 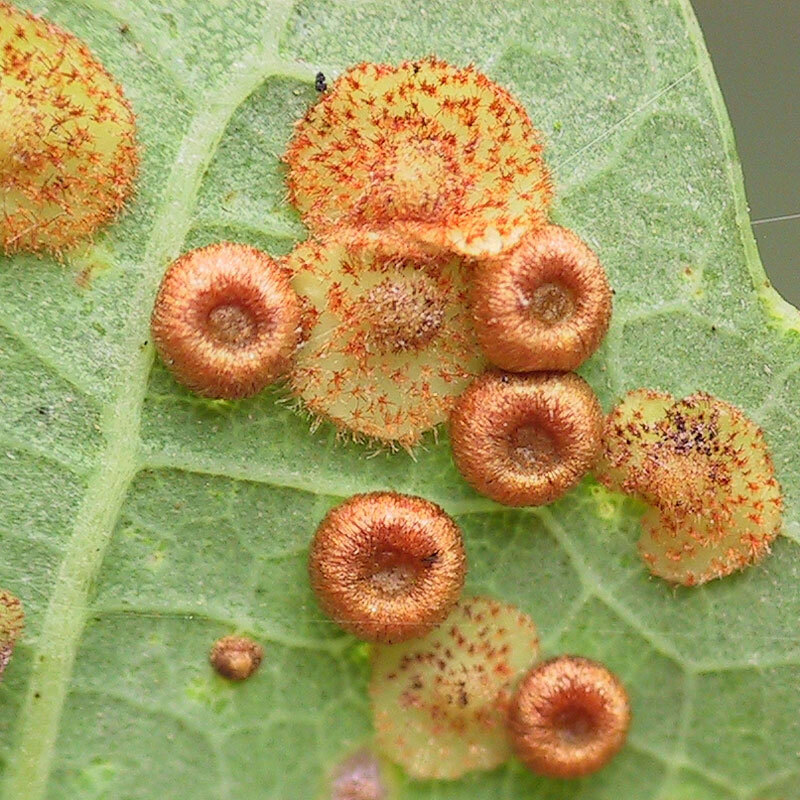 The Silk Button Galls are abundant on the underside of the Oak leaves and can reach 3 mm across. 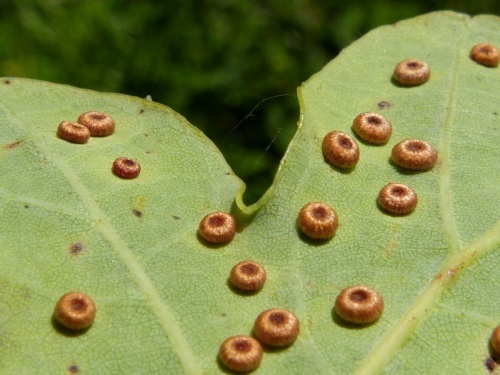 This gall holds the agamic generation and looks like a thick, rolled edge disk with a deep central pit and gold hairs, there is no mark on the top of the leaf. 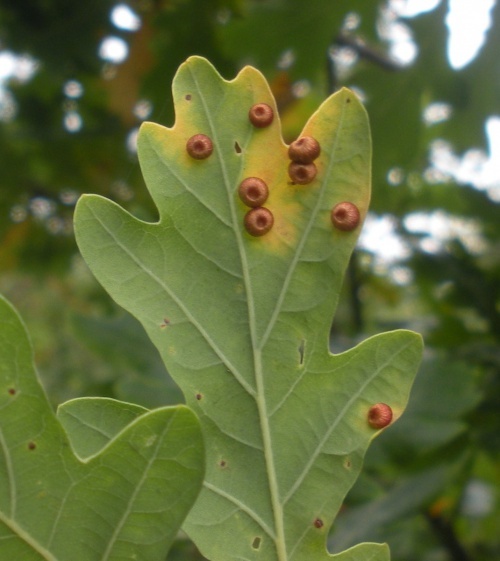 It is a single cell gall holding one wasp and can be seen from August to October, until the leaves fall in autumn. 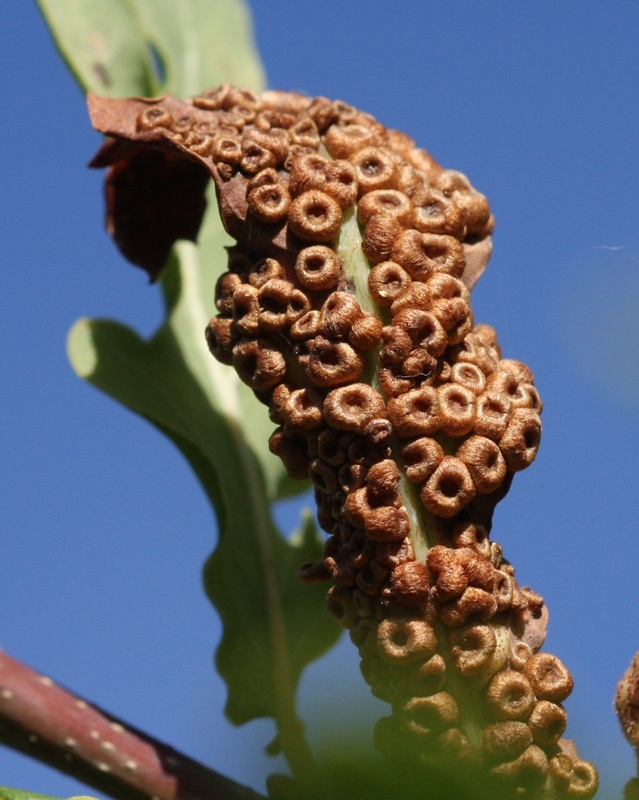 The wasp larva will mature in August but remain in the gall on the ground throughout the winter, emerging the following year from February to April.